Inspiring book that touches on so many of the struggles of working moms. 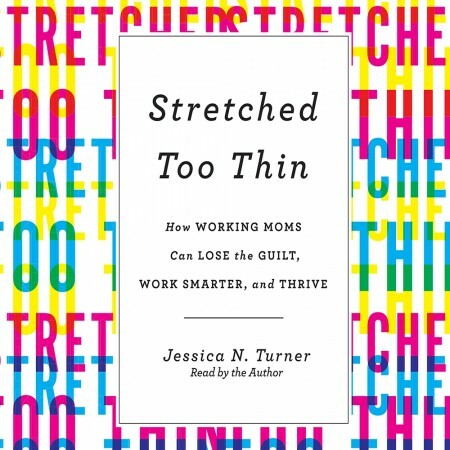 Being a work-at-home mom on a part-time basis, so much of this book connected with me. Most specifically the self-care section. We have a tendency to put ourselves last place, waiting until the last possible second to take care of ourselves, and when we don't, we often carry huge loads of mom guilty for putting ourselves first. I learned this important lesson firsthand last year when my body declared that it was time for me to rest, resulting in surgery. And I often wonder if that could have been prevented if I'd taken the time to rest along the way and care for myself on a regular basis. Jessica Turner gives wonderful and practical suggestions on ways to implement self-care, not just physically but spiritually and mentally as well. I found the chapters on family time and spouse time also great reminders. While some sections didn't apply to me as much since I work-at-home, I know the pages hold great wisdom for other moms. However, the one negative I felt was that her view on flexible work hours for moms was short-sided. For example, she makes a huge point to find a work environment that offers flexible hours. However, so many working moms are teachers or nurses that don't have much control over their hours and certainly would not be able to request flexibility in those hours. Not everyone has a office job. I wouldn't even mention it if it wasn't such a large section. Thankfully I have complete flexibility in my own job, but most of my friends who work do not. That being said, I highly recommend this book to all moms. Even stay-at-home would find value in the pages of this book!